Roof Dimensions: 2450mm x 1850mm. Product delivered flat packed for self assembly. Full Lotus instructions provided. 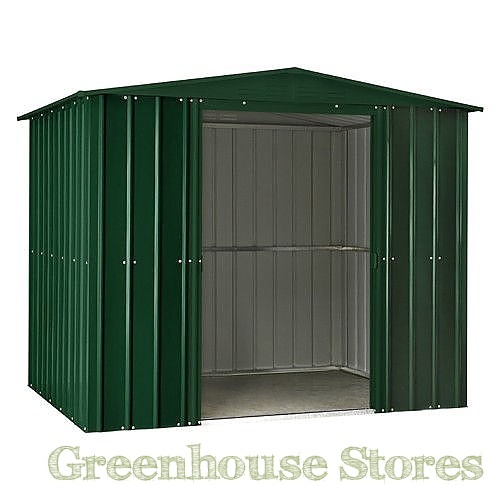 2330mm (7ft 6") Wide Metal Shed - Spacious Design. 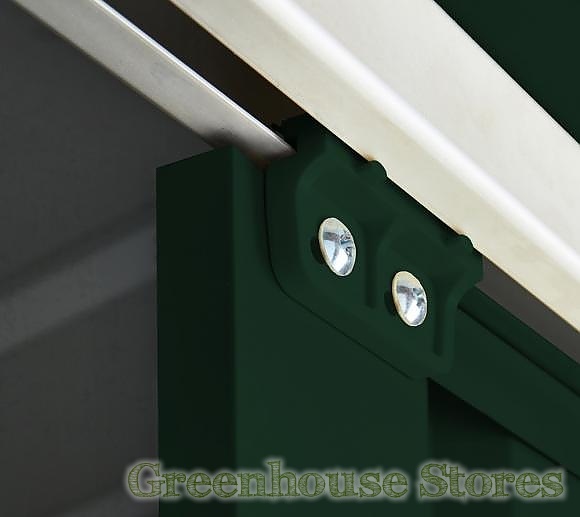 Galvanized Steel Sides and Roof - Solid and No Maintenance. Hot Dipped Paint Finish - Heritage Green Colour. Double Sliding Doors - Wide and Lockable. Ventilation at Apex Gable End - Keeping Shed condensation free. 10 Year Warranty - Covers perforation. 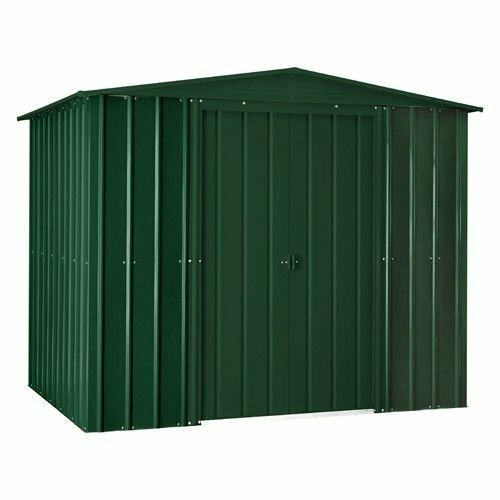 The Lotus 8x6 Apex Metal Shed in Heritage Green is a roomy storage shed that will require no maintenance at all. It’s wide double doors make getting in and out with garden bits and bobs simple. 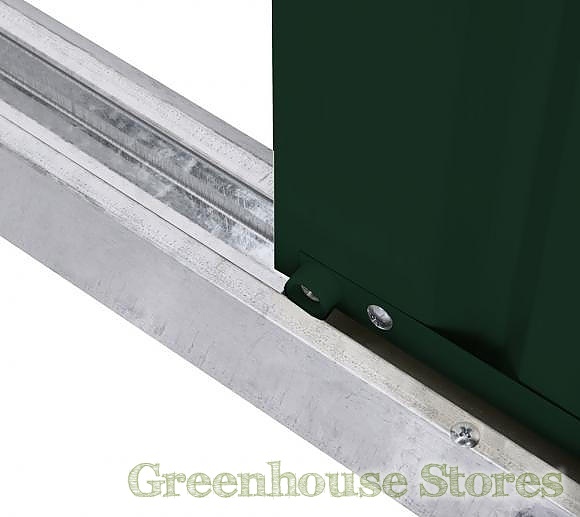 The Heritage Green Lotus 8 x 6 shed is constructed from a galvanised steel framework and clad with .3mm hot dipped steel in an attractive green colour. 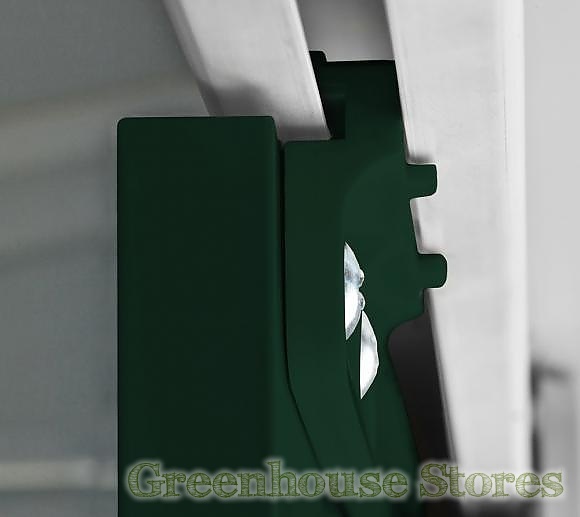 There are vents positioned in the apex gable to ventilate the shed and prevent a buildup of condensation in the roof space. Lotus give a 10 Year Warranty against perforation rot. Add a side window for extra light. Max of two can be fitted.